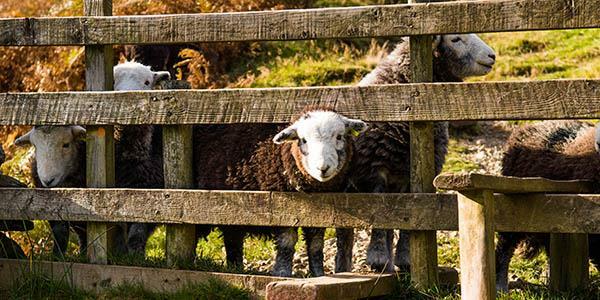 Discover these two rare breeds that make up part of the Lake District’s interesting history. 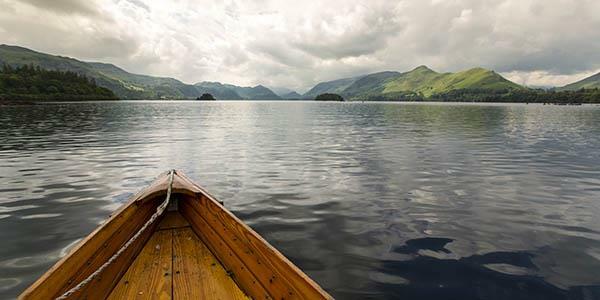 The landscape of the Lake District is as iconic as it is beautiful, shaped by farming for millennia and constantly evolving to its inhabitants’ needs. But there are some things that never change. There are many plants and animals that are protected in the Lake District National Park, but there are two in particular that are almost as iconic as the hills they call home. If you haven’t seen herdwicks in real life then it is likely you will at least have seen them in pictures, photos or film of the Lake District. These hardy fell-land creatures have been a part of traditional Cumbrian farming since medieval times and are instantly recognisable; just as much a feature of the Lake District as the lakes are themselves. You will be hard pressed to find these sheep anywhere else, and only then on the occasional rare-breed farm. A stonking 95% of the world’s herdwicks live on the Cumbrian fells. They are the hardiest of Britain’s hill sheep and live and graze on the highest mountains of the Lakes. Their stocky build and thick, wiry coat allow them all the protection they need to live through the harshest conditions. 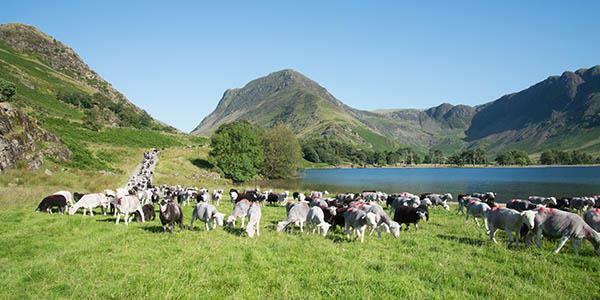 Farmed now in the same traditional way that they have been for generations, their meat has earned protected status and in order to be branded a Lakeland herdwick the sheep needs to be born, reared and processed in Cumbria. The meat is now becoming so popular that it is finding its way onto the menus of top London restaurants. It is highly regarded because while lambs of other breeds are ready to go at about 3 months, the herdwick lambs have to be at least 10 months. They’ve lived longer in fabulous outdoor conditions soaking up the terrain and, as a result, the unique flavour is much deeper. One of the area’s oldest resident’s is the Arctic char. This salmon-like fish, which usually favours alpine lakes and arctic coastal waters, has been landlocked in the depths of Lake Windermere since the ice age! Today this area is one of the few places you’ll still see the traditional fishing methods take place. 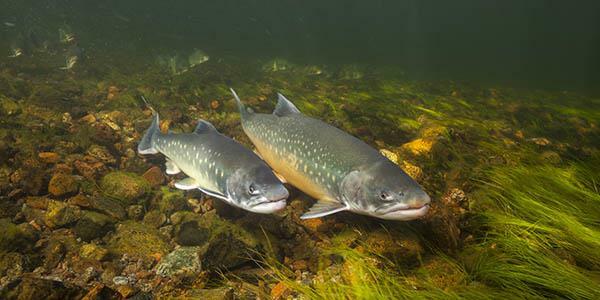 The arctic char is an anadromous fish, able to survive in both seawater and freshwater. They are best suited to deep, cold water, below 8ºC. During the last ice age, the fish would migrate to the sea and back inland again. As the glacial waters receded, however, and the surface waters warmed, the char became landlocked, unable to go anywhere. They have remained in Lake Windermere ever since. Char fishing is a local tradition that is shrouded in mystery; not many people know the method. It involves traditional, long bamboo poles and several polished lures. Overfishing once put Windermere char stocks at risk and even as long ago as the ‘20s, commercial netting was banned. By the time the fish population had recovered itself, the old fishermen had gone, and with them, the old traditions. Now there are only very few fishermen left around Windermere who know how to do it. The char are rare but so are the fishermen and it’s thought that less than a dozen boats go out. Fishing on Windermere is now heavily regulated. Char has become almost a forgotten food of the Lake District, something that many local chefs are eager to change. When cooked it has a delicate flavour and a pinky colour to it, not unlike salmon. It is great with just a bit of lemon and salt, to keep the flavours simple. Keep your eyes peeled for char on the menu of any foody establishments you might visit nearby because it’s an exclusive product and a bit of a specialty, but very worth trying. Stay at Braithwaite Court in the heart of the Lake District. Find out how by clicking below.